The Sedona Rip Saw RT tire is an extreme terrain radial tire that offers stability and absorbs impact in the extreme train conditions. Its aggressive 1-1/8" tread pattern cleans out well in the mud and also offers great traction and long lasting wear in all types of terrain. 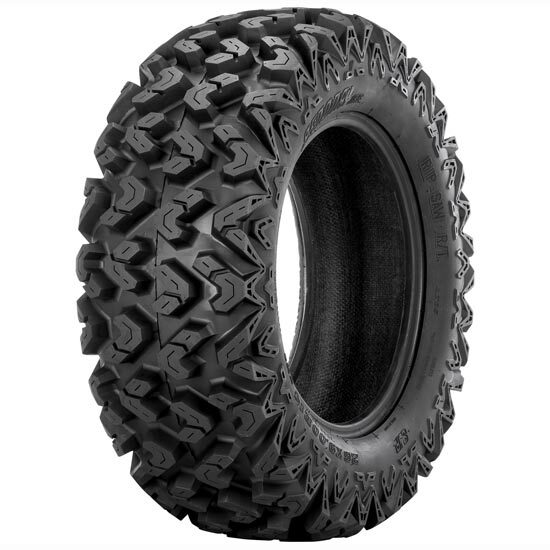 The wrap around tread pattern increases its traction in deep rutted and muddy conditions.